God Operates in Ireland too! An Taoiseach tells us that we have “one of the lowest levels of homelessness” compared to international standards, we are also told that “homelessness is normal”. This is from someone who is among our Governments chief housing policy advisors, is this is how he understands homelessness? these are his words! Maybe He doesn’t see the thousands of homeless people (including over 3,000 children) who are neither ‘heroin addicted sons’ or ‘battered wives’! But we have heard about this ‘God’ before. Back in 2009, in the early days of the latest financial collapse, Lloyd Blankfein, Goldman Sach’s chairman and chief executive made world headlines – he explained very calmly how they were “doing God’s work”! 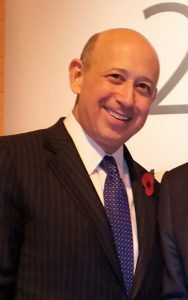 Blankfein wears the imperial Poppy, glorifying the warmongering, past and present, carried out to increase the profits of the company he now heads. Blankfein’s predecessor had moved on to take over as US Secretary for the Treasury – the company is deeply connected with the state. In its service to humanity (‘doing Gods work’) Goldman Sachs was among the Wall Street bankers, along with Chase Manhattan, Morgan Stanley and Henry Ford etc. whose money created the power of Adult Hitler and Nazism. These same bankers were all implicated in the recent financial collapse / criminal manipulation of the so-called ‘free’ markets, resulting in their further enrichment at the expense of peoples all over the world, ourselves included. But the finance monopolies equate service to their private interests as being the best thing for the rest of us, after all, we, the 99%, get the crumbs from their table. The slogan “a rising tide lifts all ships” is thrown out time and again to justify every increasing profits in the Banking and finance sectors. We are told to believe this logic, and that, in any event, “there is no alternative” (TINA). Ireland continues in the grip of crisis, apparently ‘God’ has forsaken us. 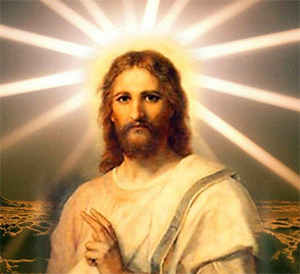 We understand that the ‘Man from Nazareth‘ was crucified on the cross, for the sake of the people, whatever one thinks of any God, this is not His work.